Paperback, 10 x 12 in. / 64 pgs / 24 color / 6 bw. This volume is the first to examine the portrait photographs of this esteemed husband-and-wife team. The artists' portraits--like their radical landscapes and city-scenes--are powerfully evocative, boldly subverting our expectations of the discipline of portraiture: Rather than capturing the visual essence of a sitter, they reveal identity to be multifarious, transitive and culturally and historically bound. They capture their subjects in ways that transform, enhance and accentuate social and cultural meaning, doing so with the full complicity and respect of the people they photograph. 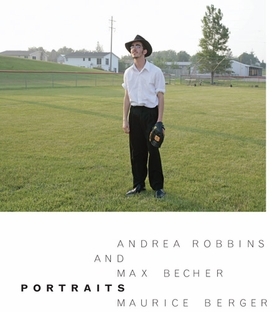 Robbins and Becher spend weeks living with each community they document. They immerse themselves in the stories of its citizens and history, interviewing residents, participating in their customs, photographing them at work, play and home. Most important, they allow their subjects to represent themselves--not only as they would like to been seen, but in ways that illuminate their complex humanity. Essays by Maurice Berger and Lucy Lippard. Essay by Ariel Hauptmeier. Preface by Peter Bialobrzeski. 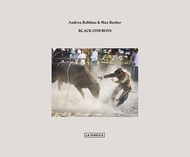 Photgraphs by Andrea Robbins, Max Becher. FORMAT: Paperback, 10 x 12 in. / 64 pgs / 24 color / 6 b&w.